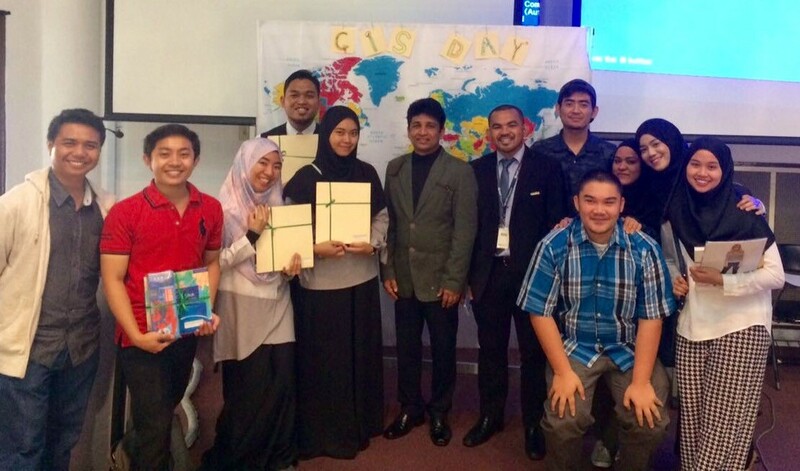 The Geographical and Environmental Studies department of the Faculty of Arts and Social Sciences (FASS) at the Universiti Brunei Darussalam held an event marking the World GIS Day celebration on Tuesday, 15 November 2016. The event took place at the university’s Mitsubishi Lecture Theatre. 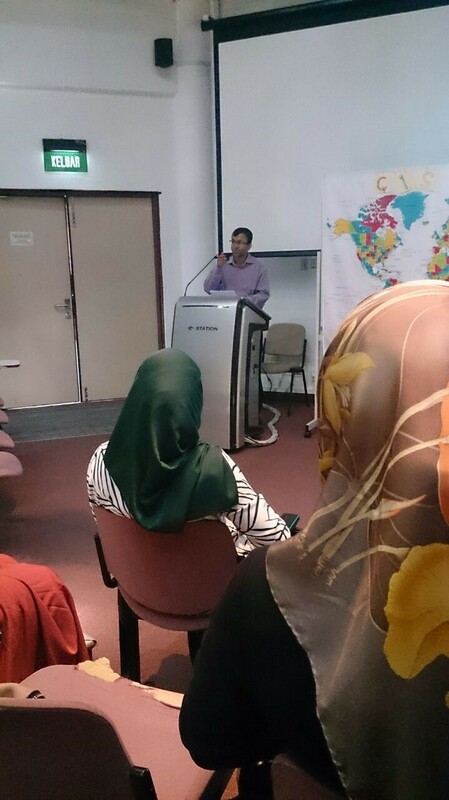 The programme’s introduction and activities began with an address to the participating students by the GIS event organizer and Assistant Professor Dr. Shafi Noor Islam. World GIS Day is observed annually in the third week of November, as part of the week-long Geography Awareness week, which falls in the week of November 13-19. 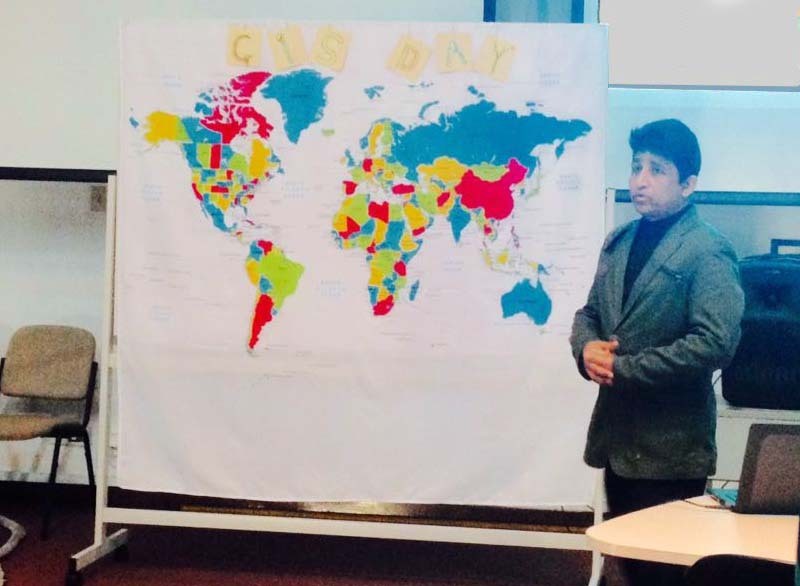 This year the theme of the GIS day was: “Discovering the world through GIS”. About 50 staff and students of the department and from FAS) attended the event. The celebration was launched by the Deputy Director of Research of FASS, AP Dr Iftekhar Iqbal, on behalf of the Dean. The Deputy Dean of the Faculty of Arts and Social Sciences (FASS) and Special Guest Deputy Deans Dr. Kathrina Dato Paduka Haji Mohd Daud, Deputy Director of the Institute of Asian Studies (IAS) Dk Dr. Noor Hasharina Binti Pg. Hj Hassan, Progmramme Leader of Geography and Environmental Studies Dr. Siti Mazidah Binti Hj Mohamad also participated in the celebration. 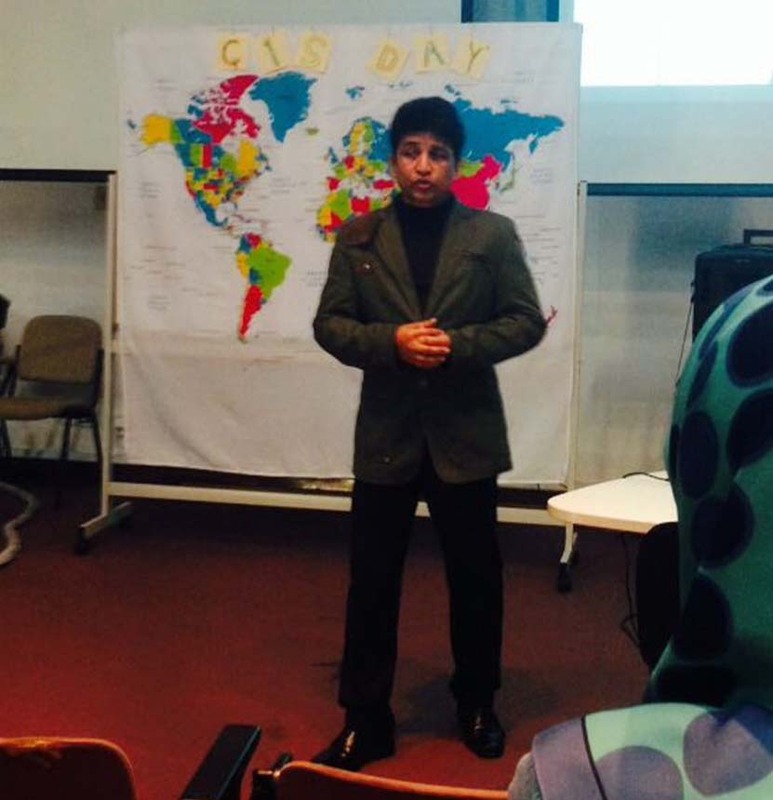 The purpose of the event, according to Assistant Professor and the event organiser, Dr Shafi Noor Islam, was to promote awareness of GIS, which stands for Geographical Information Systems. GIS is a system and technology for capturing, storing, using, analyzing and visualizing spatial information, and is used in a wide-range of applications. Dr.Islam also mentioned that GIS is enabling a smarter world to take shape. While advances in technology are certainly facilitating this evolution, it is the people who use GIS who are responsible for making this change. AP Dr. Iftekhar Iqbal giving his speech. The GIS project on “Sine Saloum Delta Management in Senegal” from the Module AV-4302 Wetland Ecology and Managementwas selected as the best project for GIS application. 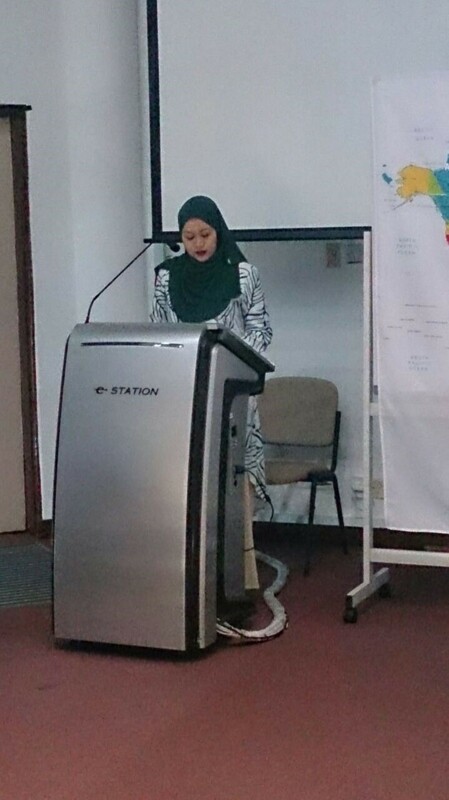 The best performance in GIS practice for the project GIS application in Mangrove Paradise in Bandar Seri Begawan, Brunei Darussalam was won by Dk Hanna Afiqah binti Pg. Hassanal Ali Saifuddien. 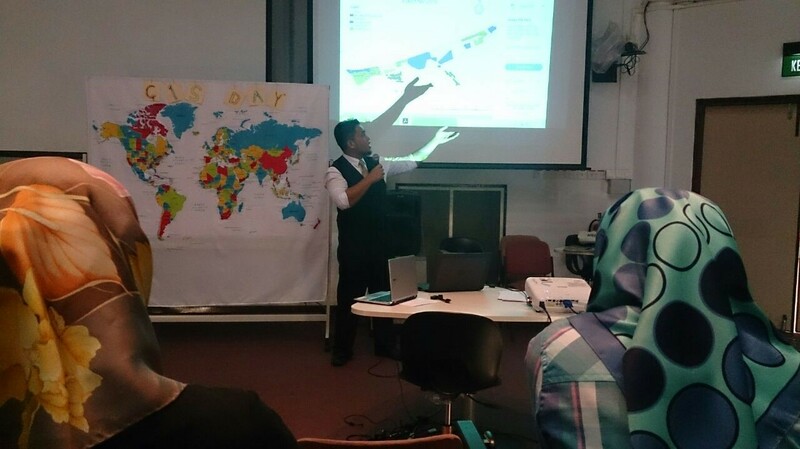 The event also featured a talk by an invited speaker from the GIS group ESRI, Nazri Razak. Dr. Shafi Noor Islam anchoring the Prize giving event on GIS projects. 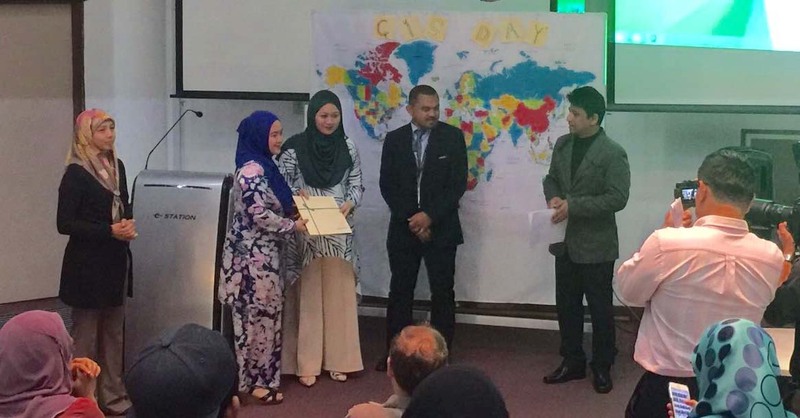 Dr. Hasharina, Dr. Mazidah, and Mr. Nazri Razak jointly awarding the prizes to the best performers in GIS practices in Geography and Environmental Projects. 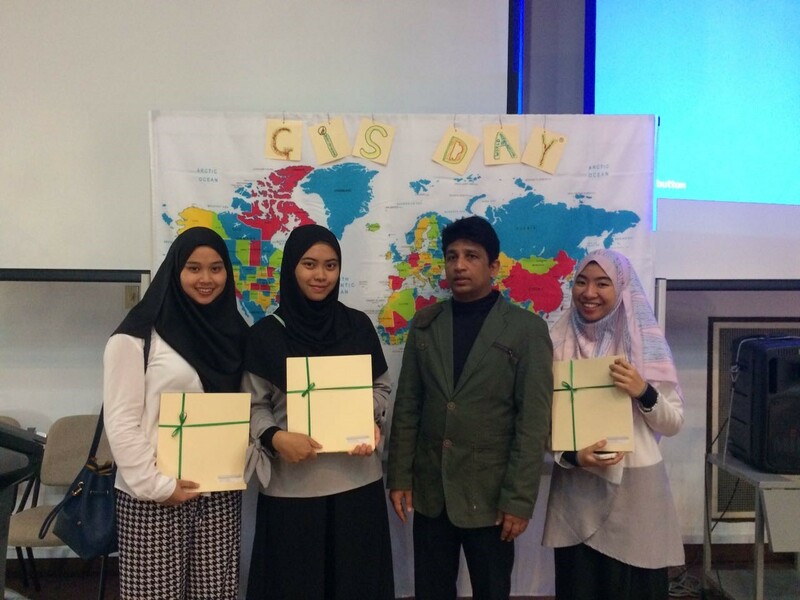 Dk Hanna Afiqah won a special prize for her project on a GIS application for Mangrove Paradise project management. The event showcased GIS and remote sensing project work done by the geography and environmental studies students. The best group projects and best student performances in the major modules AV-3301 Introduction to Remote Sensing and AV-4302 Wetland Ecology and Management were awarded prizes, which were handed over by the Programme Leader Dr Siti Mazidah Hj Mohammad, and the Deputy Director of the Institute of Asian Studies, Dr Noor Hasharina Hj Hassan. The modules provided students with real-world and hands-on skills and training in environmental and spatial applications of GIS and remote sensing. Hazwan presenting a student small project on GIS application in Detecting Forest fire in Brunei Darussalam. This project was selected as the best group project in the Module AV-3301 Remote Sensing. Besides this, more than 20 small remote sensing student projects were done, and GIS and RS were used in an integrated way.